Windows are one of the most neglected areas of our homes. We spent a lot of money on the interiors of our homes but seldom give effort on the appearance of our windows. Often we walk pass by an office, a house or a shop but seldom we notice those window blinds hanging in front of the windows of these establishments to block sunlight. So, if you are looking for a practical yet stylish window treatment for your apartment, read this blog to know more. Window blinds are available in a lot of varieties like roman blinds, panel glides, roller blinds and much more. But vertical blinds are the best option for your apartment building. Apartment windows are generally wider than tall and this issue is beautifully taken care by vertical blinds. 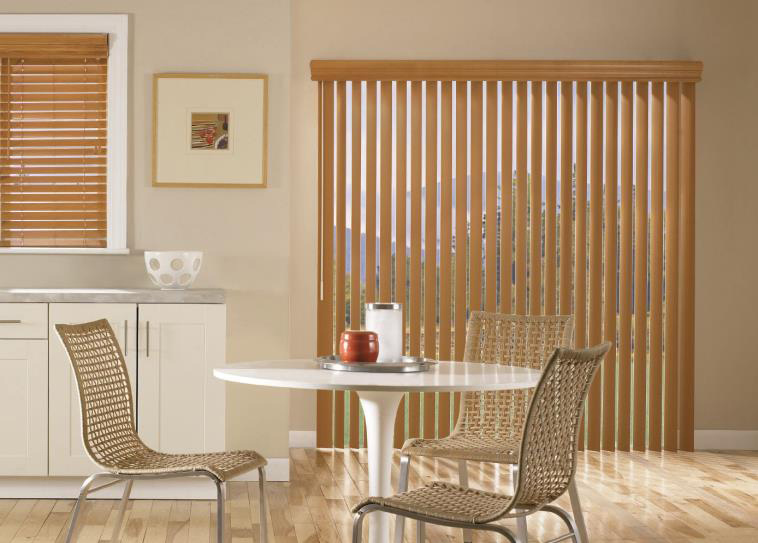 These blinds are ideal for managing window space in taller or wider windows. Wide windows are tricky to dress with regular roller shades because when you go beyond a certain width which is in most cases is 72 inches, you need to work a bit more to manage the extra space. You need to add a seam, support or multiple shades to cover the width and avoid sagging. If you use vertical blinds on the same windows, the sagging problem will no longer exist. Moreover, the vertical blinds will add extra height to the window by extending across the window frame. The best thing about these blinds is that they are drawn to one side, and if you mount them outside the window frame, they will allow full window visibility and offer an entire view of the world outside. If you have a window wall in your apartment, try out these blinds for sure. They not only drape your windows beautifully but will also allow a wide view. 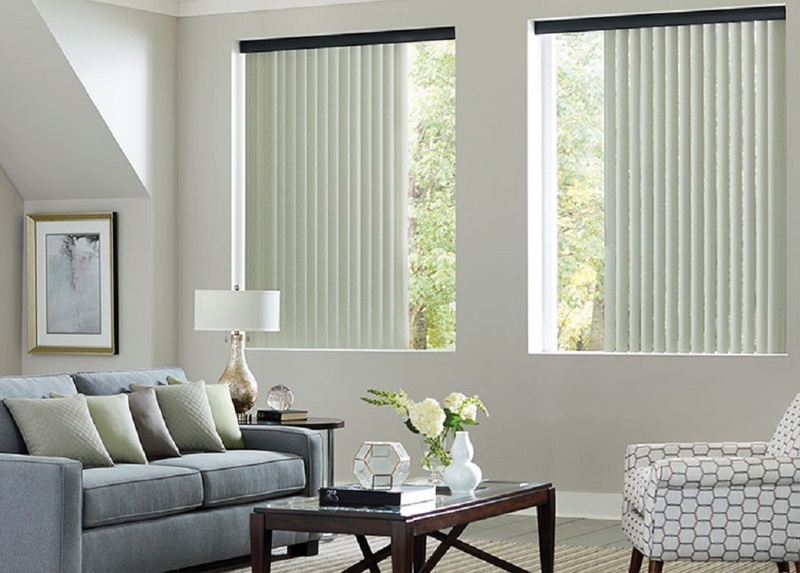 Tall windows are difficult to dress with regular window blinds because of the height and the amount of the slats which has to be rolled up or down. Vertical window blinds offer an easier and better solution. These blinds can add some extra height width to the window frame if they are mounted outside and the blind vanes are drawn to one side. So it doesn’t matter if your apartment windows are taller or wider windows. Use vertical blinds to provide the best privacy and light control to your room as well as make the interiors of your home look stylish and beautiful. Many modern buildings and apartments use huge windows and even walls that are made of glass. Vertical blinds are the only proper solution while selecting blinds for these architectural features. Further, with their straight line, you can add more character to what seems to be a plain architecture. The length of the vanes can be the reason for the problem and extra long ones can buckle on the sides if lightweight materials are used like vinyl. But there is a solution to this problem. Instead of using lightweight materials you can use heavier ones. Fabric coverings can also be the solution. Fabric covered blinds are more stylish and they do not buckle. It’s important to remember that whenever you are dealing with extra wide or extra long vertices blinds, you have to consider the extra weight that comes with it. In situations like these, motorisation is the only answer to tackling potential problems. 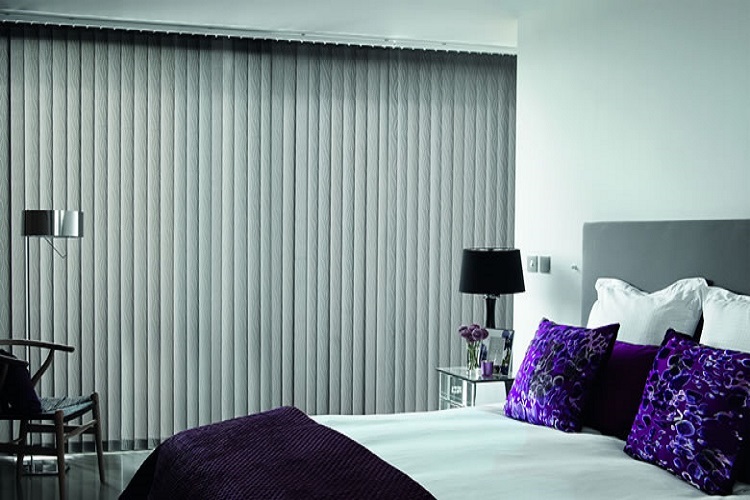 You will be glad to know that vertical blinds operate easily and smoothly through motorisation. If you think that this will ruin the look of your blinds and window, you are wrong. The motorisation systems, pull systems, hanging parts can be hidden behind a matching top head rail valance. Window blinds are used to provide privacy and control the entry of light. Vertical blinds offer the best result in this case also. They allow less light in between the slats or vanes and closes beautifully allowing no light to enter unless you want it. Thus they are perfect for room darkening as well as maximum privacy. Now that you know the importance of vertical blinds for your modern apartment, visit your favourite blind store and enjoy draping your windows with quality vertical blinds. Author Bio – Simon Jackson is an interior designer and a passionate blogger. Today she writes about Blinds Pakenham for modern apartments. She also provides valuable information on Blinds Narre Warren.